Please find listed a selection of Specialty courses available at Kiwi Scuba Divers. Course costs include theory and required training dives. Many of these courses are run on demand, please contact us with your preffered dates. Diving enriched air lets you safely extend your no decompression limits, which means more time underwater and shorter surface intervals - so you can get back in the water sooner!! The most common misconceptions about Nitrox is that it is for divers wanting to go deeper and that you need special equipment. However, nitrox is most beneficial at depths of 5 to 30m with NO special equipment required.A short course is all that is required to begin using nitrox immediately. Combination of natural and compass navigation. Imagine being able to find your way back to the spot where you started the dive from and re-visit interesting sites down below that you found on previous dives. Whether you are looking to recover family heirlooms, sunken treasure or grandpa's dentures, this course will teach you appropriate search patterns along with different methods for recovering and bringing to the surface lost or sunken objects. Ever wanted to experience underwater flying? Then this is the course for you. The sheer exhilaration is something all divers should try, once you try it, you want to do it on all your dives. 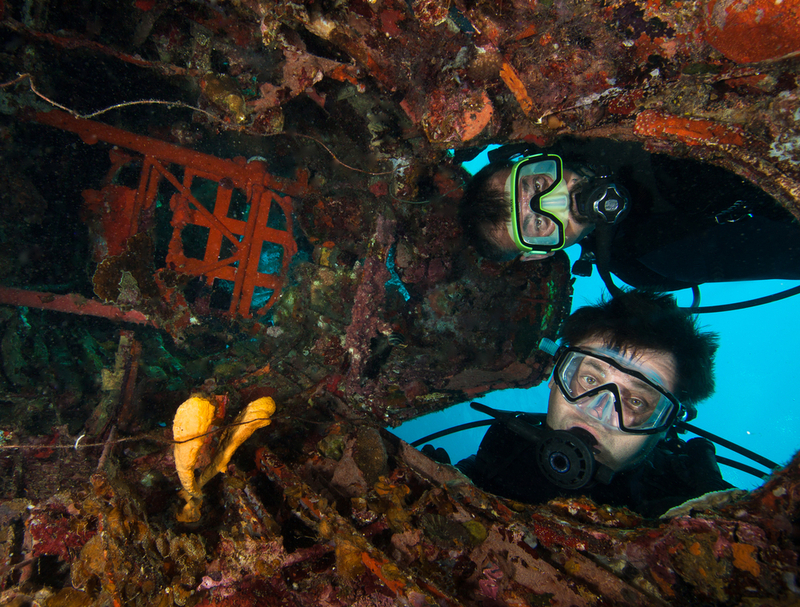 Where the past meets the present, experience the rush of excitement that few other dives can duplicate, the challenge of discovering, exploring and entering wrecks is something few divers can resist. It's what separates great divers from good divers, extend your bottom time, interact longer with marine life, spend longer exploring the underwater world, prolong the life of your dive gear.